Prewi, a tooling manufacturer for the wood-working industry for over 40 years! Door producing companies, well known throughout the market, trust in Prewi products. Using our newly developed prism cutter for machining centres, product quality and Production speed can be increased considerably. The prism cutters have also proven themselves on run-through production lines for several years. Due to the type of cutting edge segmentation, tear-outs whilst processing solid wood products are eliminated. Also the patented Prewi-Twister extraction system has proven itself on the market. 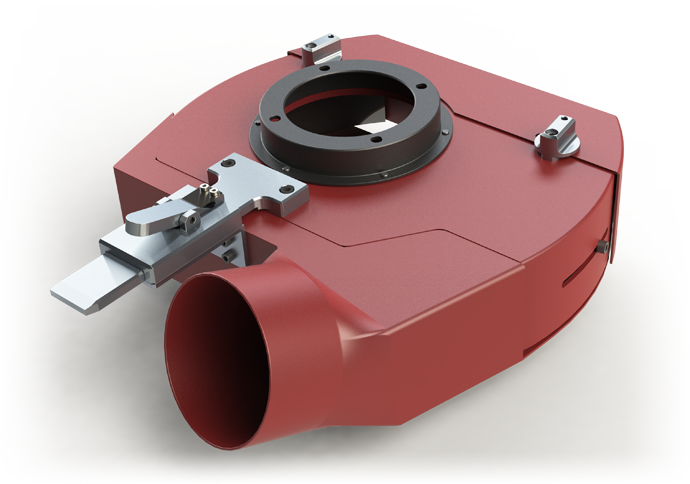 The special geometry of the tool in combination with the extraction hood makes high tool life and clean products possible. Tooling and aggregates from one hand. We at Prewi see ourselves as a system supplier with the desire to make your daily business more relieving.